The gallery is pleased to present its first solo exhibition of work by Brian Duffy, featuring his photographs of David Bowie in Gallery Two. 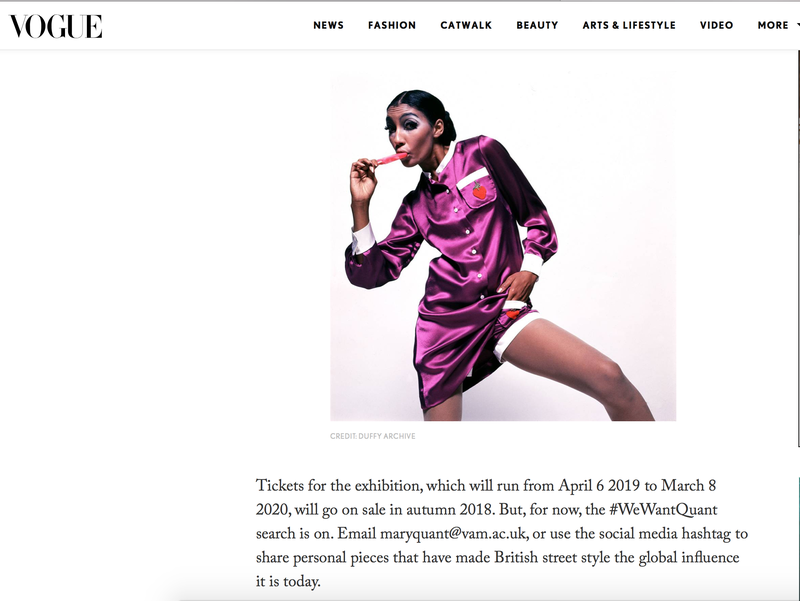 Duffy (b. London, 1933 – 2010), along with David Bailey and Terence Donovan, is recognized as one of the innovators of “documentary” fashion photography, a style which revolutionized fashion imagery and the industry. So influential were their images that in 1962 the Sunday Times dubbed Duffy, Bailey and Donovan the “Terrible Trio” and Norman Parkinson called them “The Black Trinity.” Together, they dominated the London photographic scene, constantly pushing each other to new heights. 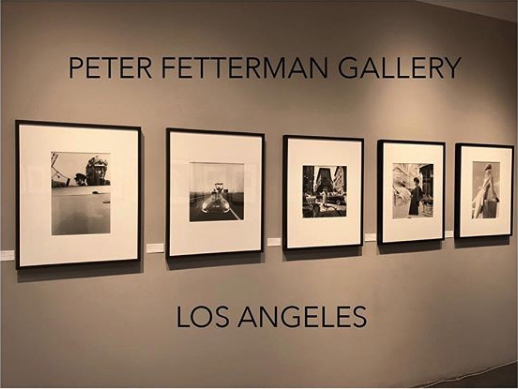 Between the 1950s and 1970s, Duffy produced an extraordinary body of work spanning all of the photographic genres from portraits to reportage to advertising. Duffy was one of the few photographers to shoot two Pirelli calendars (1965 and 1973) and was a commercial success shooting high profile advertising campaigns for brands like Benson & Hedges and Smirnoff. In 1972, Duffy photographed Bowie during his Ziggy Stardust tour and went on to shoot his album cover for Aladdin Sane (1973). The infamous flash on Bowie’s face was a groundbreaking move in the pre-punk era. Bowie was originally inspired by the lightening flash on Elvis’ “taking care of business” ring. Duffy and makeup artist Pierre La Roche recreated the effect with red lipstick based on the logo on a Panasonic rice cooker that was in the studio at the time. Duffy’s original printing of the work used the dye-transfer process, which was one of the most costly forms of printmaking at the time. Bowie and Duffy continued to work together for ten years, including the album’s Lodger (1979) and Scary Monsters (and Super Creeps) (1980). 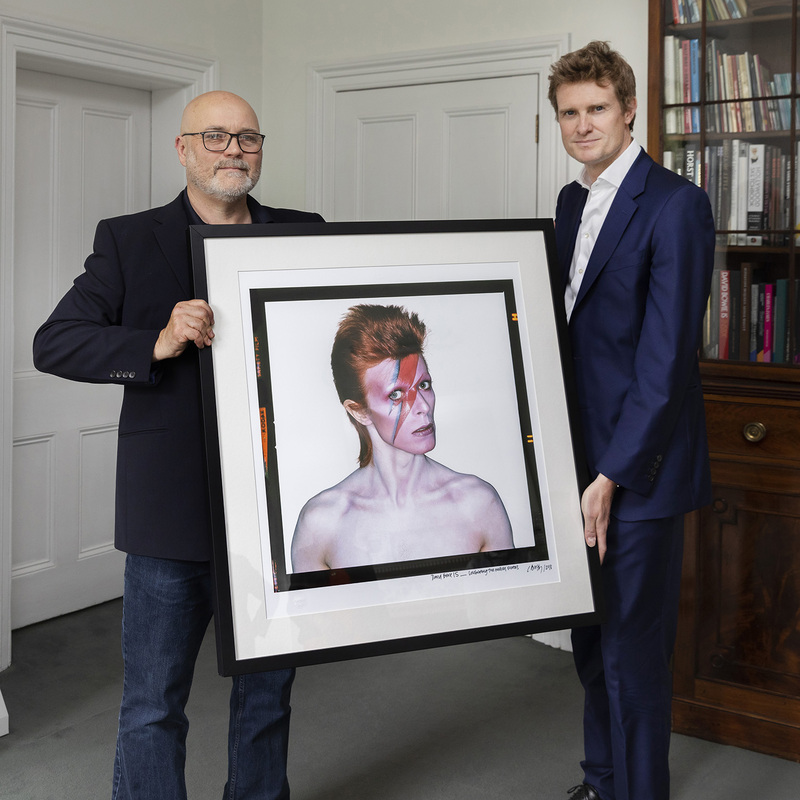 Overall, Duffy’s input had a significant influence on Bowie’s public image creation during this period and his photographs continue to be recognizable images in popular culture. In 1979, Duffy decided to give up photography and burned many of his negatives in his yard. He then moved on to commercials, never to return to the still camera again. The Duffy Archive is made up of negatives and contact sheets that have been retrieved from numerous UK and International magazines and newspapers, such as Vogue, French Elle, Glamour, The Times, The Telegraph, Queen, Town and London Life. Other sources include Duffy’s remaining personal collection and boxes filled with negatives that have been recently discovered and salvaged. 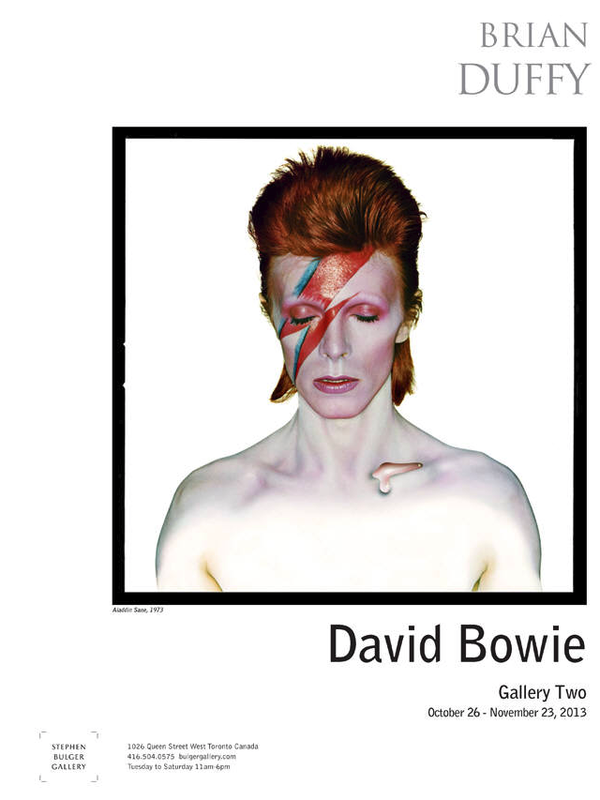 Duffy’s photographs of David Bowie can also be viewed in the Art Gallery of Ontario current exhibition “David Bowie Is,” which will be on display until November 27, 2013.